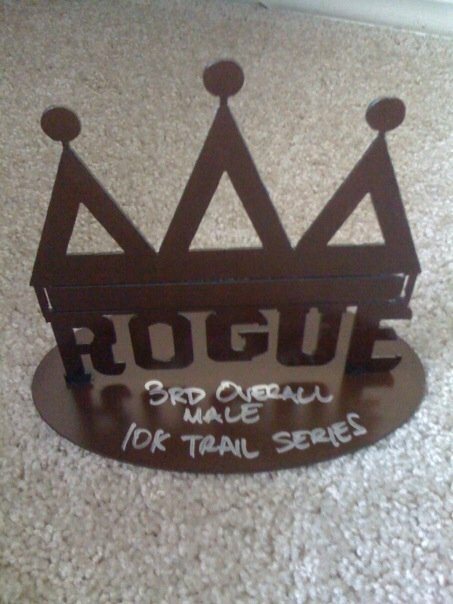 I’m thrilled to finish running in the Rogue Trail Series this year. I finished the last race this morning, called ‘The Bluff’ in about 54 minutes. Its probably the hardest trail race I’ve run so far, the course was very technical and I even managed to slip and get some cactus needles in my right hand. Fun! On the bright side, I’ve managed to get 3rd place in the male division and won some hardware! I only hope to improve my trail running skills in the future. For now, some rest is in order… to help with that, next week I’ll be cycling and drinking beer during the Austin Urban Assault race :)!